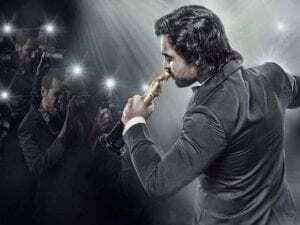 While completing the 7th year of his acting career, Tovino Thomas has managed to impress us with some exceptional onscreen performances and box office hits. The young actor, who made his acting debut in 2012 with the movie Prabhuvinte Makkal, has already emerged as one of the most bankable young actors of Mollywood. ‘Virus’ is a medical thriller film, with Tovino as the protagonist. The film revolves around the outbreak of Nipah virus in Kerala. It is scheduled to release on 5th July this year. ‘And The Oscar Goes To’ is a film essaying the life of a struggling young film-maker, directed by National Award winner Salim Ahamed. ‘Kalki’ is an up coming movie where Tovino portrays a police officer. Similar comparisons have been made to his character with Mammootty’s ‘Balram’. The film is expected to roll soon.